Metameta very kindly asked me to join a webinar on TheWaterChannel about tankers and urban water supply in South Asia. Tune in to hear Metameta’s Saroj Yakami and I discussing our research in Kathmandu and Delhi. It’s an intereactive format so you’ll also be able to ask us questions. You can see a recording of the webinar here. The main highlight is Saroj’s excellent work on tankers and groundwater in Kathmandu. He’s got great details on the water economy and the slides are also available to download. As cities in rapidly urbanising South Asia continue to grow, municipal piped water supply networks are struggling to keep up. In this scenario, tankers are turning out to be an important means for millions of citizens to secure clean water. They cater not just to peri-urban areas and urban slums. 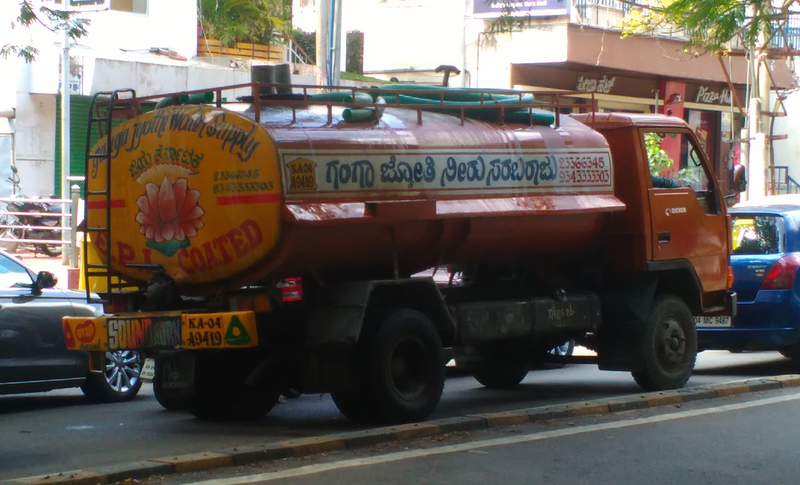 As groundwater tables plummet and real estate takes over urban lakes/tanks, city-centre neighbourhoods and affluent communities are increasingly dependent on tankers for their daily water needs. From the supply side, both civic authorities and private businessmen are viewing tankers as viable means to cater to their constituencies and make profits respectively. Do tankers represent a water insecurity and deficiencies in urban water supply systems? Or are they smart solutions for the most common kind of urbanisation—rapid, semi-planned, high-density? What are the best examples of them helping meet urban water needs?